As Ebola is becoming increasingly widespread (terrifying), governments are doing everything in their power to keep the illness contained. 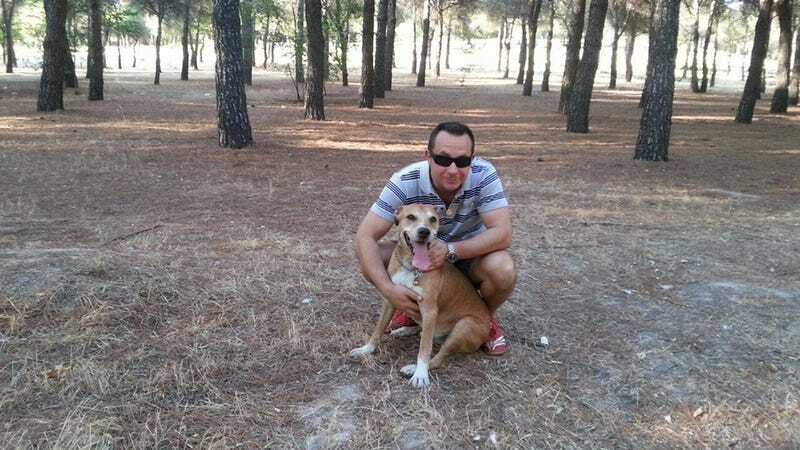 In Spain, that means Madrid's government has decided to euthanize the dog of a nursing assistant. The woman, who was infected with Ebola after taking care of a priest who died of the virus, was the first person outside of West Africa to contract the disease. Officials are worried that her dog, a mixed-breed named Excalibur, could pass the virus on to others. According to NBC, he's been scheduled for euthanasia, despite both objections from the nursing assistant's family, as well as a change.org petition that is insisting that the dog be allowed to live, at least until more information is obtained about whether dogs can transmit the illness. While there's no concrete evidence that dogs can spread the disease, NBC points out that the virus can and does infect mammals (which makes sense, as humans are also mammals) and can be spread through them. And though there's no real research that shows that dogs are a danger, it's thought that the virus started in West Africa due to handling of wild animals. It's understandable that the government is worried (who isn't worried at this point? ), but it's surprising that the dog is to be euthanized as opposed to quarantined. And if the research regarding canines' ability to fight and control the infection (while still keeping it in their system) is legitimate, it's possible that this dog could be useful in helping find a treatment for the virus. Or is that just my wishful thinking talking?